Enter a world plunged into chaos and defeat the evil behind it all in this hacked version of Crusaders Quest RPG by NHN! 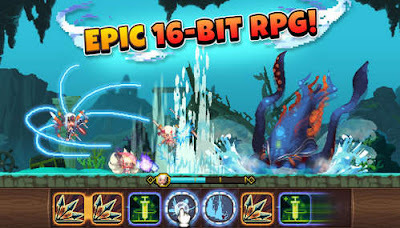 Build your team of heroes and engage in puzzle-based battles, in hope of saving the Goddesses of Hasla. 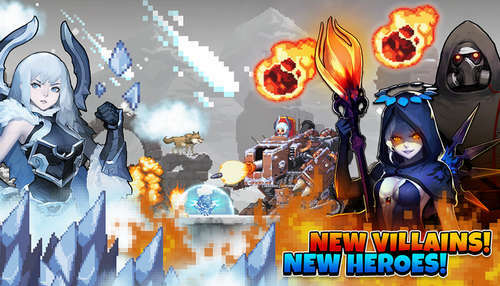 Collect the best heroes and combine their skills for the ultimate power to destroy all monsters. Crusaders Quest Mod Apk offers 6 unique classes (Warrior, Wizard,etc) and 200 heroes, each with their own unique powers and abilities. You've got healers, destroyers, hunters, and more. The game has beautiful 16-bit retro graphics that will appeal to most gamers out there! Now scroll down to grab your modded copy and play this action packed RPG adventure! - World Boss uses Google Play Services which only Root version can access (you can request the link in comments). - I can't be held responsible for any banned accounts. - around 1.5GB free internal memory is required so make sure you've got enough storage.